Beautiful people, great weather, incredible cuisine, and total relaxation. Does that sound like heaven? Well, it’s as close as you can get on earth: we’re talking about San Diego’s Gaslamp Quarter. The Gaslamp Quarter is a small but extremely vibrant neighborhood in San Diego. Conveniently located and brimming with culture, it’s a must-visit destination in this sunny city. It also happens to be the home of The Pool House! To celebrate the ‘hood that is our home, we’d like to share some of the Gaslamp Quarter haunts with you in this post. The Gaslamp Quarter is one of San Diego’s most exciting neighborhoods. Considered one of the West Coast’s premier entertainment districts, there’s something, culturally speaking, for everyone. Within its 16.5 block span, you’ll encounter beautiful architecture, history, excellent dining, and plenty of nightlife. Within walking distance of Downtown and close to the Convention Center and Petco Park, it’s an accessible and convenient spot, to boot. Once you’ve visited the Gaslamp Quarter, you won’t soon forget it! Stay: If you’re visiting San Diego, you should strongly consider staying in the Gaslamp Quarter! Not only is it easily accessible by mass transit, but it’s conveniently located within the city so that you can enjoy plenty of adventures in the Quarter and beyond. 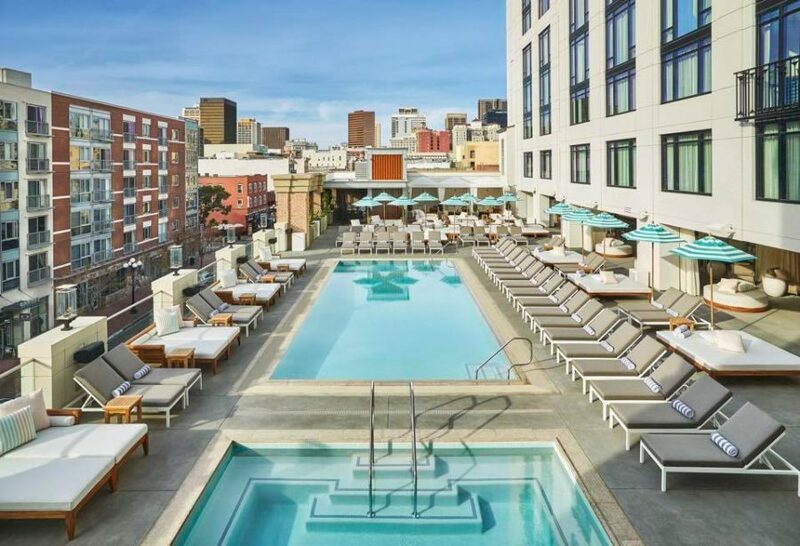 The Pool House is actually located in The Pendry San Diego, the premier luxury hotel in the Gaslamp Quarter. Occupying the block of 5th, 6th, and J, Pendry San Diego resides in the epicenter of the Gaslamp Quarter. The hotel strikes the perfect balance between modern luxury and classic California style. Whether you choose to stay in a suite or a room, it feels like a home away from home–albeit a stunning home! 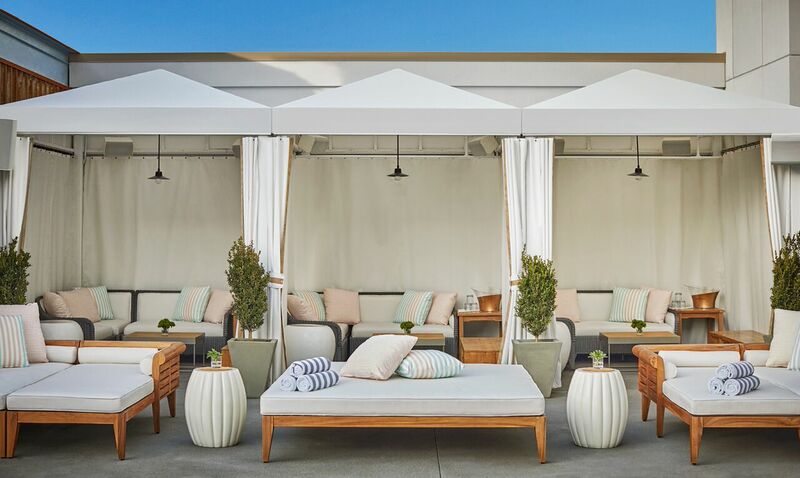 Not only is The Pendry located a convenient 4 miles from the San Diego International Airport, but it truly is equipped with everything you need, including luxury linens, fully stocked mini bars, 6 restaurants and bars, a 24 hour fitness center, the Spa Pendry, and 35,000 square feet of meeting and event space. Oh, and it’s pet friendly! Dine: There’s no lack of great dining options in the Gaslamp Quarter. While you might think of The Pool House as a rooftop getaway, we also offer some incredible cuisine! Our robust cocktail and drink menu paired with our California / Coastal style cuisine menu truly makes for a perfect day. 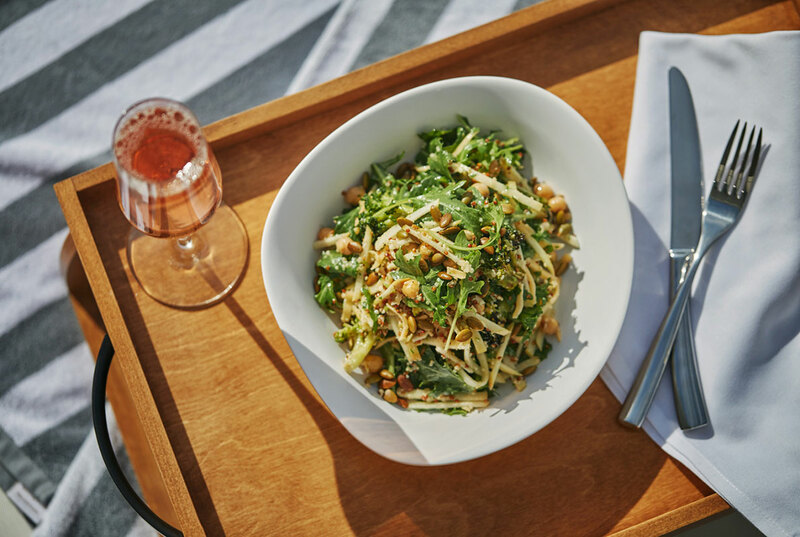 Within The Pendry, you’ll find other great dining options, as well. Lionfish Modern Coastal Cuisine, for instance, is a world class restaurant right in the same complex, offering award-winning Coastal cuisine fare with an accent on fresh catch seafood and seasonal ingredients. 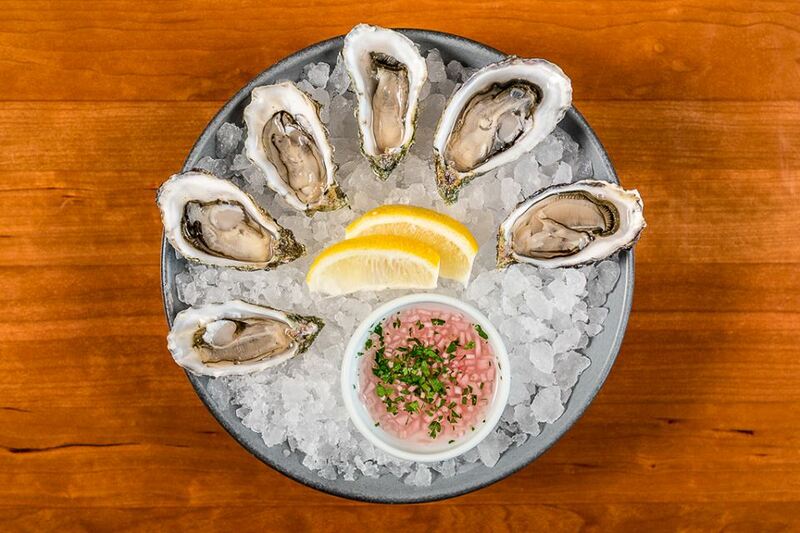 Having been voted the Best Seafood Restaurant by the Gaslamp Quarter Association, it’s a can’t be missed dining experience. Relax: Relaxing is a breeze in the Gaslamp Quarter, and the Pool House is your official headquarters! 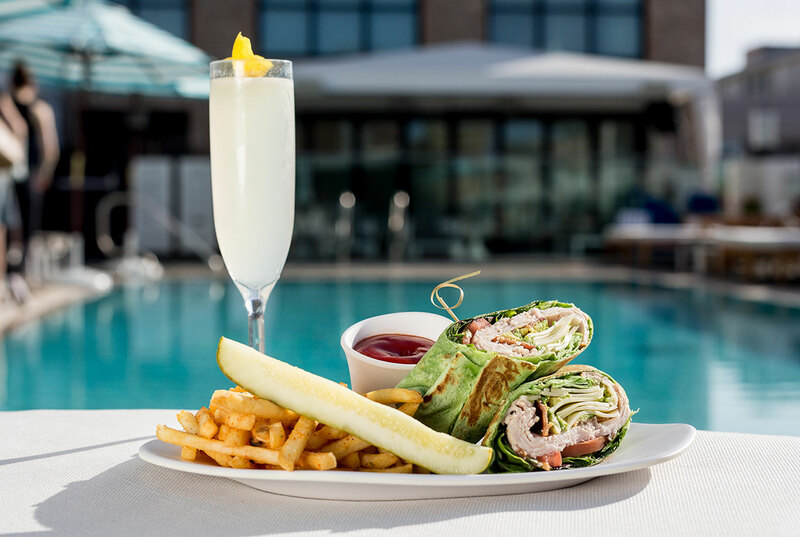 During the day, The Pool house is open for lunch, which means you can take in the sunny skies and enjoy fresh fare while lounging poolside. To enhance your relaxation, you can even make a daybed or cabana reservation. Particularly on evenings or weekends, making such a reservation is highly suggested, as it will max your relax time and ensure that you have the perfect setup to enjoy the surroundings. We also feature the Spa Pendry, a tranquil wellness sanctuary offering meditation, yoga courses, and personalized spa treatments to balance mind, body, and spirit. Nightlife: The Gaslamp Quarter is action packed from day to night. Whether it’s a Padres game or cocktails, we’ve got you covered with plenty of great nightlife options. Right at the Pool House, we have a party vibe at night, when evenings bring Rooftop Social events each and every night starting at 5pm that include $1 oysters and half price cocktails and appetizer specials. The Pendry also boasts The Oxford Social Club, an avant-garde nightclub right in the heart of the Gaslamp District. This swanky club has an energy, attitude, and vibe that matches the hustle and bustle of San Diego’s 5th Avenue! Along with attentive service and killer cocktails, Oxford Social Club offers some amazing entertainment, including an ever-evolving music program that features both national and local deejays. Shop: In the heart of downtown San Diego, the Gaslamp Quarter is your headquarters for not only great restaurants, bars, and hotels, but awesome shopping. 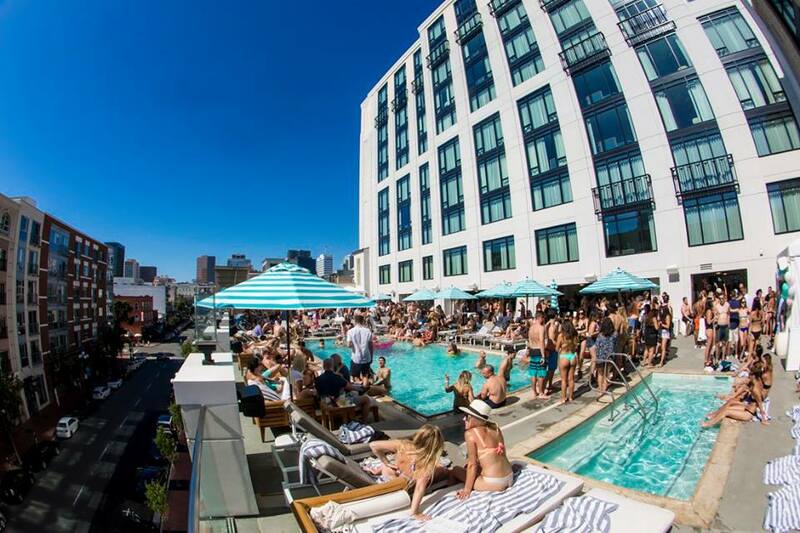 Within its 16.5 blocks, The Gaslamp Quarter boasts a myriad of boutiques, national retailers, and professional services within easy walking distance of The Pool House. Arts: If you like a touch of culture when traveling, the Gaslamp Quarter has you covered: there are plenty of galleries, museums, theaters, and cultural institutions within the neighborhood. The Davis Horton House, multiple galleries, The Balboa Theater, the Horton Theater, are just some of the highlights that you’ll find! If you’re visiting San Diego, the Gaslamp Quarter is a must-visit destination. At the Pool House, we couldn’t be prouder of our vibrant neighborhood. 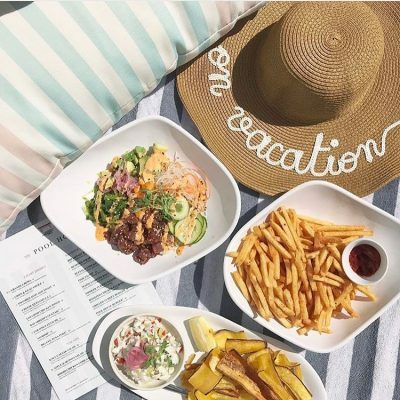 We hope that you’ll come visit us on your next trip, or if you live in the area, that you’ll consider The Pool House and The Pendry San Diego for a luxury staycation! Have you ever visited the Gaslamp Quarter?